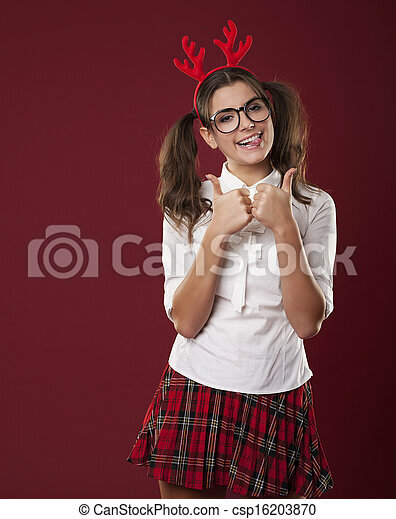 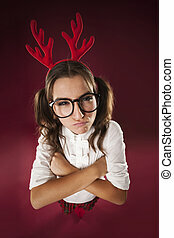 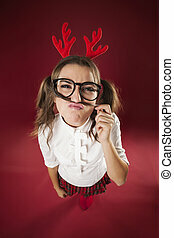 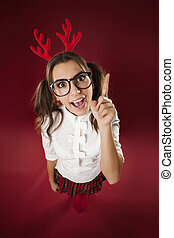 Bizarre woman with christmas horns showing thumbs up. 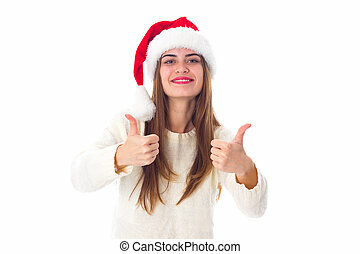 Happy girl with Christmas hat showing thumbs up. 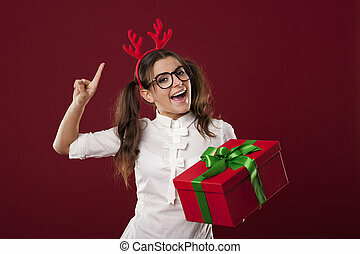 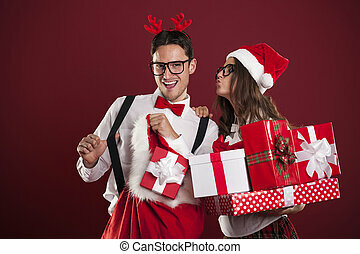 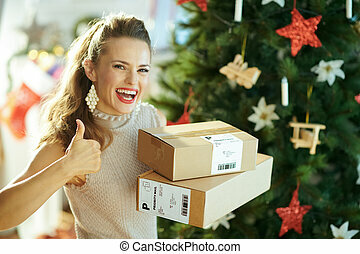 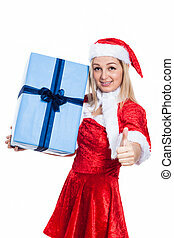 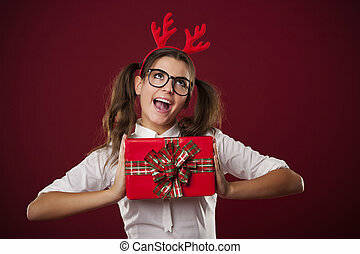 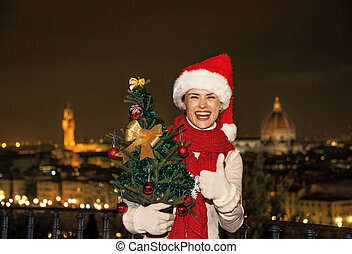 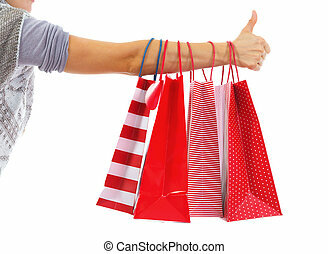 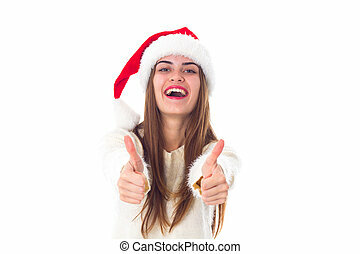 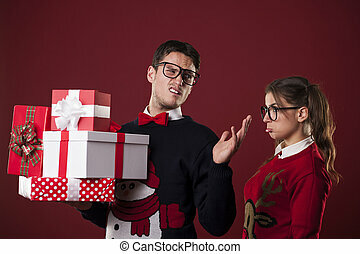 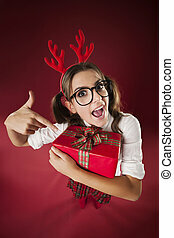 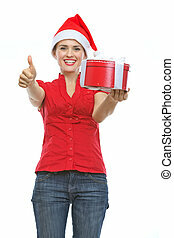 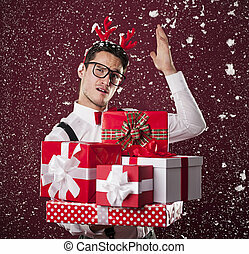 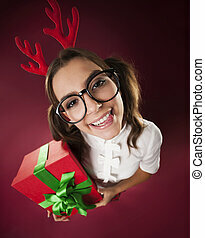 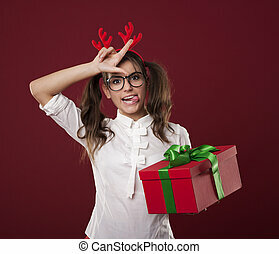 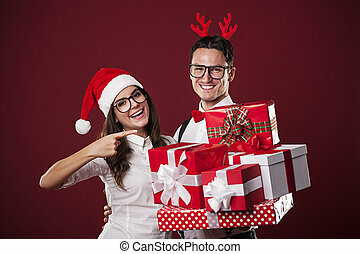 Christmas woman holding big present and showing thumb up, isolated on white background. 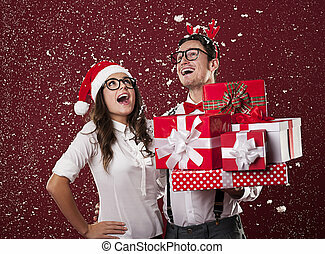 Christmas season in relaxed style of contemporary countryside living. 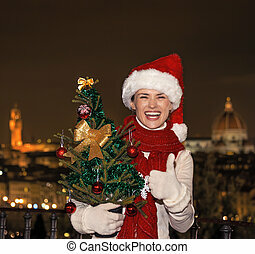 Smiling young woman with Christmas tree showing thumbs up while standing in the front of a cosy mountain house.